non-invasive therapeutic movement and bodywork for people seeking resolution to chronic, painful and traumatic injuries. 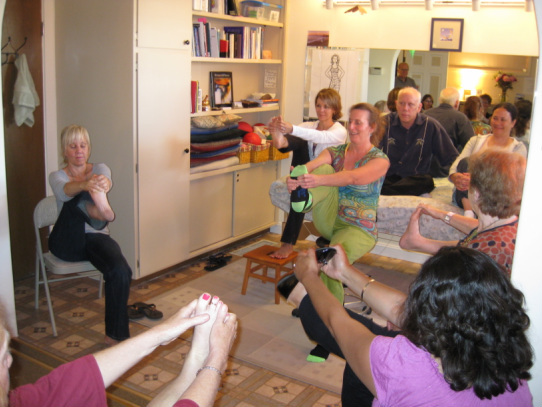 Movement Miracles is an integrative approach which accesses the self-healing resources of your body through touch, movement and breath awareness practices. Estie Golan, the therapist behind Movement Miracles, draws from over 30 years experience in the holistic health field incorporating skills from Somatic Education, Hellerwork Structural Integration, Yoga Practice and Instruction, Dance Therapy, Aquatic Fitness and Rehabilitation. To learn more about how you can release the pain and contraction of the past and rest more in the pleasures of the moment read on to discover what Movement Miracles has to offer you.